By launching the country’s first CC Cream in India, Lakme has once again proved that it is the market leader in Indian skincare and beauty industry. When I first learnt about the entry of BB Creams in India, I got really excited. All my excitement, however met with disappointment, when most BB Creams from various cosmetic brands failed to fulfill my expectations of a ‘Blemish Balm‘. Some were either too oily and some were either too expensive. But the problem with most BB Creams in India is that there are a very limited number of shades available. Infact, two of the major beauty brands in India, Ponds and Garnier have come up with only one shade of BB Cream for all skin colors! 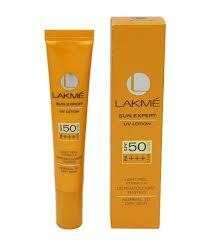 I was still on the look out of a perfect BB Cream, when Lakme introduced its CC Cream in India.